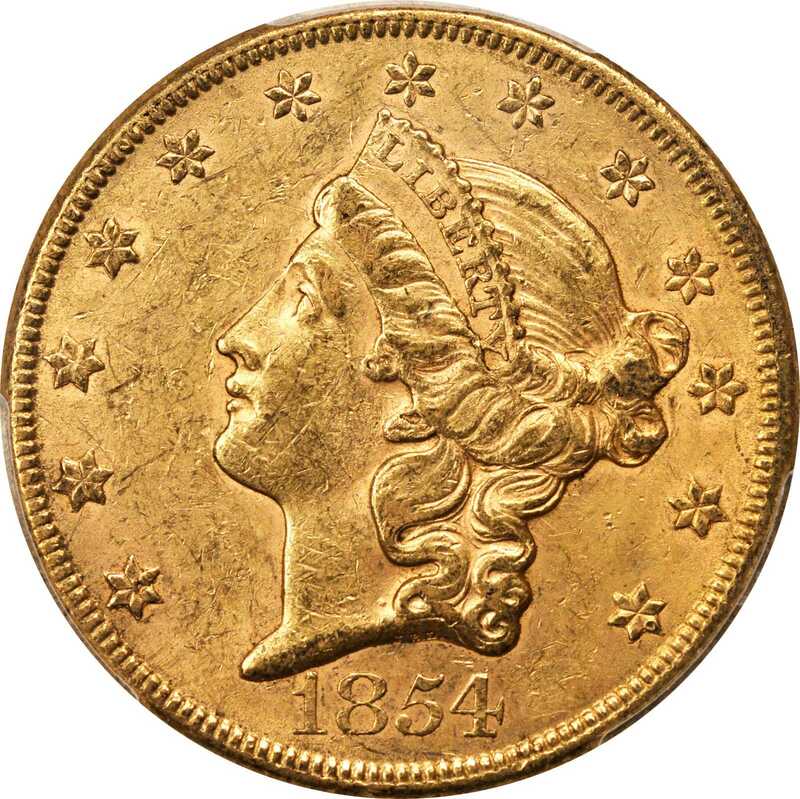 1854 Liberty Head Double Eagle. Large Date. AU-58 (PCGS). CAC.Impressive Choice AU quality for this scarce and conditionally challenging variety. Warm pinkish-honey patina blends with billowy mint luster on both sides to provide an attractively original appearance. Most design elements are sharply defined, and the in hand appearance is uncommonly smooth for an early date twenty that saw light commercial use.pCirculation strike double eagle production at the Philadelphia Mint amounted to 757,899 coins in 1854, a total that was split between Small Date and Large Date varieties. 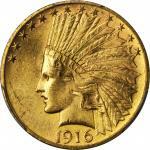 The latter is by far the rarer date style of the issue, and it likely amounts to no more than 10% of the coins extant. According to Q. David Bowers (2004) only a handful of Mint State examples are known, and he describes the 1854 Large Date as "by [far] the rarest Philadelphia Mint double eagle minted up to this point in time." The Mint also used the Large Date logotype of this variety in production of 1854 Liberty Seated silver dollars.From the Fairmont Collection.